In the thrilling conclusion of our DLP technology trilogy, Mike shows us how the projector color wheel works. It spins at 10,800 RPM in conjunction with the micro mirrors to produce over 1 billion color variations. Makes your head spin, doesn't it? 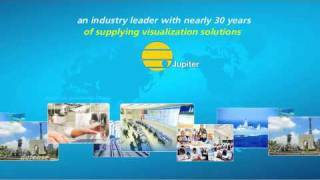 Canvas from Jupiter by InFocus is visual collaboration for the enterprise. It enables any source on the traditional display wall—video, data, applications, and more—to be shared with colleagues logged onto their PCs or mobile devices down the hall, across campus, or around the world. InFocus technology overview video featuring how our collaborative technologies help bring people together to enable success in every industry. Overview of how PixelNet captures, distributes, controls and displays video and audio sources, both analog and digital, for audiovisual applications. Overview of how Fusion Catalyst allows you to run mission-critical apps, access data through the network, engage the information, and collaborate on a wall-sized desktop. Take a quick tour of the features of the InFocus IN2128HDx 1080p Projector. Learn how to cast using Chrome, Mac, or Windows devices. InFocus LightCast Key vs LiteShow 4 - How are they different? Learn the key differences in compatibility and features. This video answers the most frequently asked questions that schools have about using JTouch whiteboard and touch displays in their K-12 classroom. See how LightCast-enabled devices make it easy to cast content from any major platform. Learn how to hold productive video conferences using the Mondopad. The LightCast Key adds additional features to your JTouch. Whiteboarding on a JTouch is easy, fun and a great way to present and share ideas. How to use Mondopad Invite to connect with other Mondopads for remote collaboration. See how to use the whiteboarding and annotation features of this powerful software. Learn to be an expert at using the whiteboard feature of the InFocus Mondopad. Watch InFocus CMO Brady Bruce discuss at InfoComm 2016 what makes the new Canvas 5.0 software and Catalyst 4K display wall processor great for worldwide collaboration. 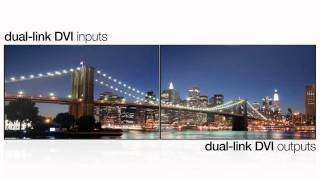 An introduction to Catalyst 4K, the latest display wall processor from InFocus that brings native 4K and HD sources together on a single display wall. See how InFocus ConX Enterprise Management and Collaboration Solutions merge real-time visualization of people, information and ideas so you can get more work done faster. Learn how to set up the advanced wireless features of the LiteShow 4 wireless presentation adapter. Learn how people can use their device to follow along to a presentation being made via the LiteShow 4 wireless presentation adapter. Learn how to moderate multiple presenters in a meeting or classroom using the LiteShow 4 wireless presentation adapter. Learn how to connect a LiteShow 4 wireless adapter to an InFocus JTouch touchscreen display so you can share your computer's screen and control it from your JTouch. Learn how to casting content from your Chrome, Chrome OS or Linux device to a display or projector connected to an InFocus LiteShow 4 wireless presentation adapter. Take a quick tour of the features of the InFocus IN128HDx Network HD Projector. Take a quick tour of the latest mobile projectors from InFocus, the IN1116 and IN1118HD. Learn how to cast content from your Windows device to a display or projector connected to an InFocus LiteShow 4 wireless presentation adapter. Learn how to cast content from your Mac (OSX) to a display or projector connected to an InFocus LiteShow 4 wireless presentation adapter. Watch how the JTouch helps teachers teach and students learn in a 5th grade classroom in Oregon. Get a comprehensive look at what Mondopad can do in just 10 minutes. Watch to get a quick look at the new features of Mondopad 2.0 and how they can help you collaborate. See Mondopad 2.0's capabilities for dual displays, dual apps and faces and data side-by-side. See how Mondopad 2.0 makes video conferencing even more powerful and easier to use. Quick video overview of the features and benefits of the InFocus JTouch Touchscreen Display. Meeting face-to-face in 10 different countries. And doing it all again tomorrow with the MVP100 Video Phone. Connect in HD video quality with colleagues and clients quickly and efficiently with the touch of a button. Choose the right tie and Bermuda shorts, and then use the MVP100 Video Phone to meet face to face anytime, anywhere in the world. Architect Stephen Chung uses a Mondopad to examine the Dallas Cowboys football stadium on the Cool Spaces TV show on PBS. Quick look at the features & benefits of the InFocus RealCam PTZ Camera. Watch the Mondopad being used on-air during a halftime show of a Portland Trail Blazers game broadcast. In the thrilling conclusion of our DLP technology trilogy, Mike shows us how the projector color wheel works. In Part 2 of our DLP projector technology trilogy, InFocus Product Engineer/Projector Guru Michael Labare gets down and dirty into the inner-workings of the DLP micro mirror device. InFocus Engineer Mike Labare repairs Andrew's (Spitball Media) IN5500 projector, blowing his mind with facts about DLP technology along the way. InFocus customer support shows how to replace a projector lamp. This tutorial features an IN2102 projector and includes information about projector bulb replacement and recycling. Spitball Media uses the InFocus IN5534 WUXGA DLP projector to display projection plotting at the Doug Fir Lounge in Portland, Oregon.